Description: The Bully Block app allows users to covertly record verbal threats and harassment, block inappropriate texts and pictures, and utilize auto respond features. Unlike other apps on the market, Bully Block blocks bullies that utilize private or unknown numbers to engage in cyberbullying. Bully Block also has instant reporting features that allow the user to email or text abusive behavior to parents, teachers, and law enforcement. Description: This FREE app tracks student behaviors by awarding and recording real-time feedback. Easily share behavior reports with parents, counselors, and administrators. You can sync your iPhone and PC to record behaviors in class while walking around. 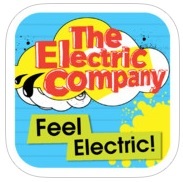 Description: This FREE app offers engaging tools that use content and curriculum from The Electric Company to provide opportunities to explore emotional vocabulary and self-expression. Hosted by Electric Company cast members Jessica Ruiz and Danny Rebus, “Feel Electric!” features three fast-paced games, a digital diary to record daily moods, a zany story maker, and more! Description: The Lite App is free for parents to create a reward chart onto their mobile device with a customizable, interactive interface. It helps parents keep track of of their child’s good behaviors and reward them appropriately. Description: This FREE app allows you to create your own unique shows with animation and audio in real time! Simply pick out your actors and backdrops, drag them on to the stage, and tap record. Your movements and audio will be recorded in real time for playback later. Description: The FREE app provides parents and caregivers with tools to help children ages 2-8 cope with the many transitions related to divorce or separation. Please share additional apps in the comments below.